So I know it isn’t February anymore, but I couldn’t help myself. Our BDWOB winner came in today and she was so giddy and excited that I thought I should share her cute face. And my cute display. 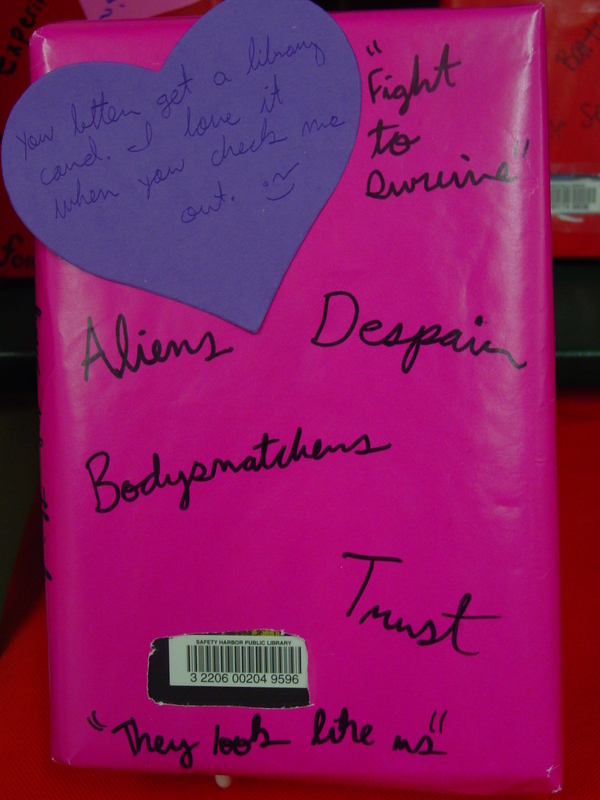 I wrapped each book up like a Valentine’s Day present, complete with nerdy, literary pick-up line. 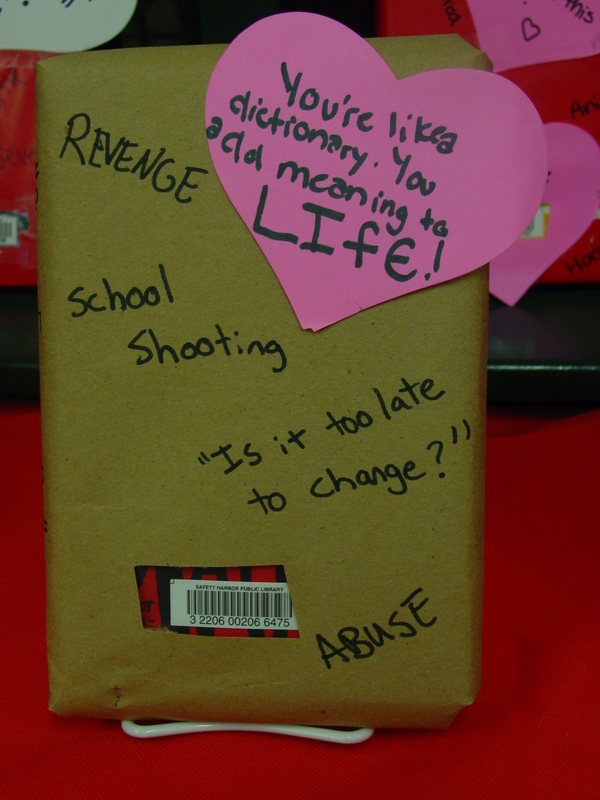 Teens then picked the book that looked the most interesting, read it, and wrote a short review. 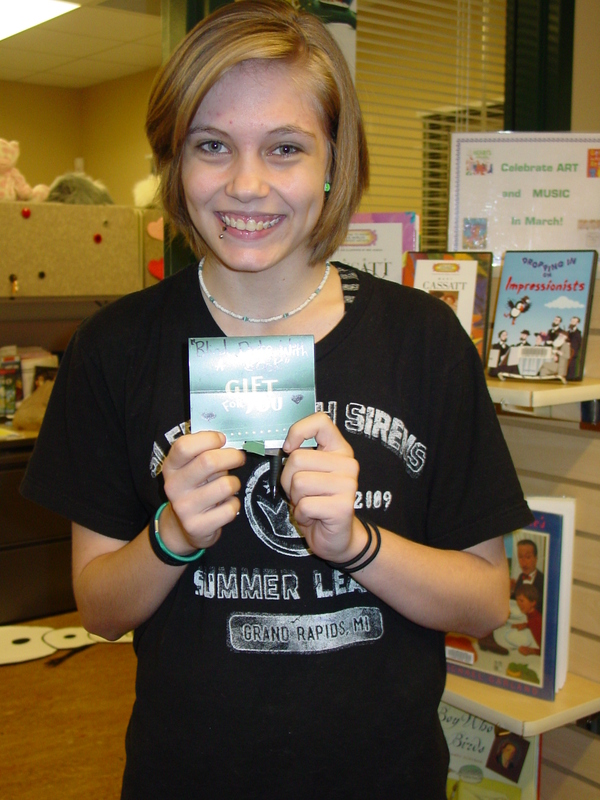 At the end of the month, I did a drawing from all of the submissions and gave away a Barnes & Noble gift card. 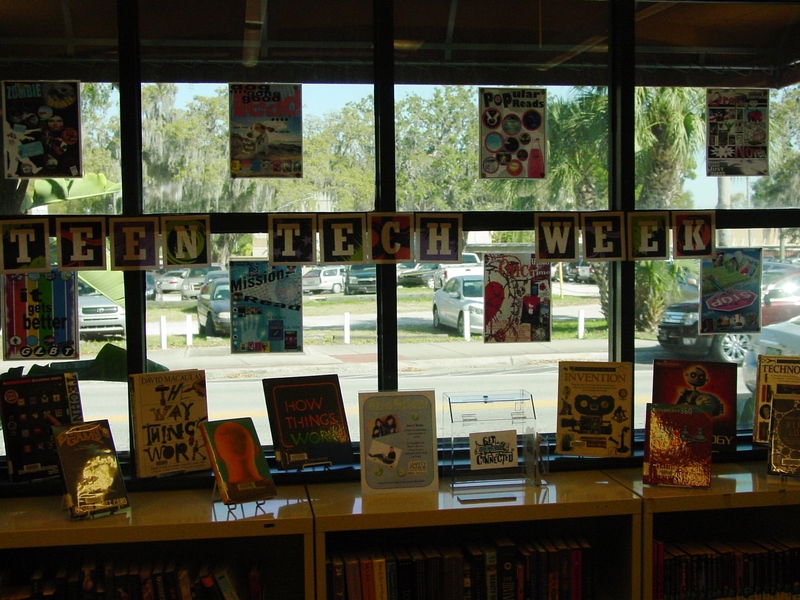 So I’ll confess: as a newbie library employee, I forgot Teen Tech Week was coming up. 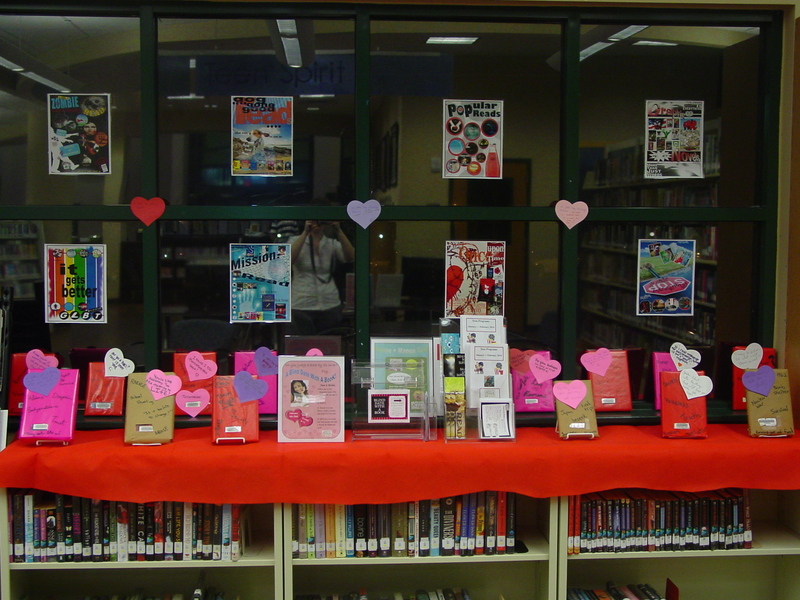 So I frantically scrambled to throw together a display, and I think the results aren’t half bad. 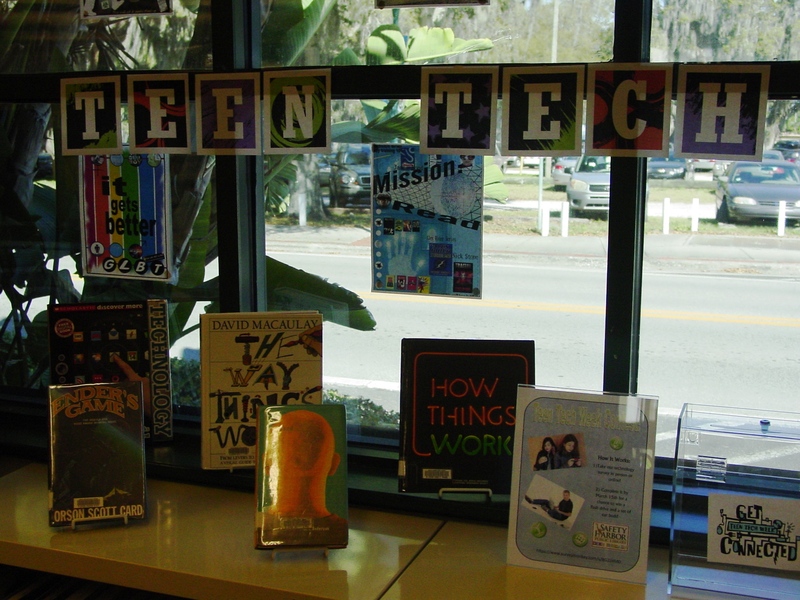 I tried to pick both fiction and nonfiction titles that featured technology. I’m also doing a “Technology Survey” as part of my passive programming/data mining initiative (more on that another time). 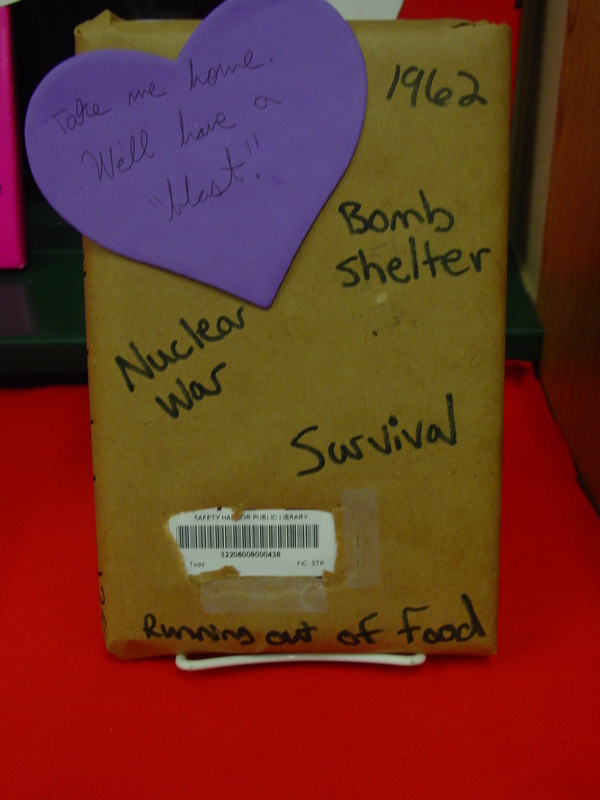 The tweens and teens can take the survey online or in person and, at the end of the week, I’ll draw a name and the winner will receive a flash drive and a set of earbuds. 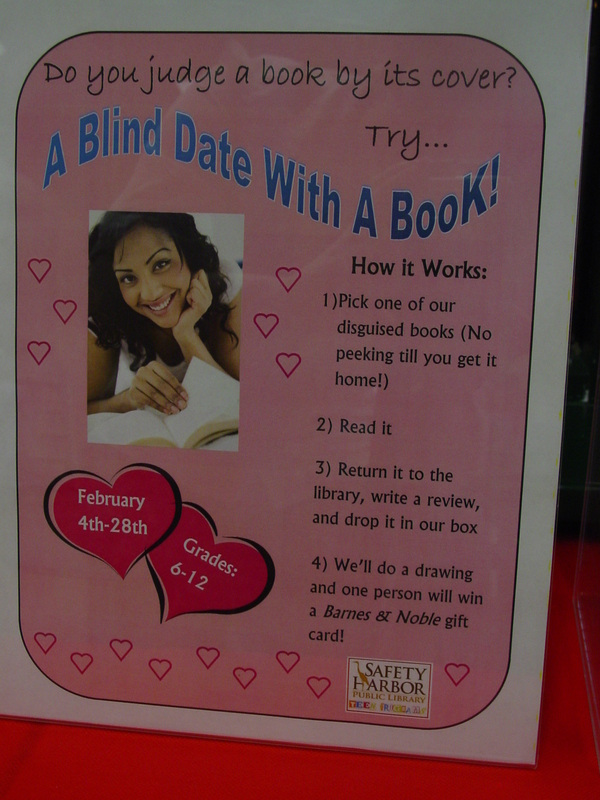 It might not sound terrifically exciting, but the kids seem really into it. I already several survey submissions and the display just went up! Here’s hoping we get even more.